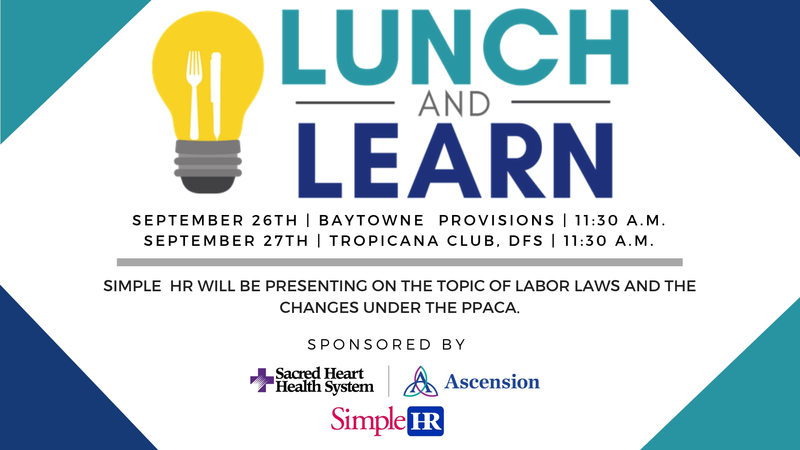 Join us for our South Walton Lunch and Learn sponsored by Sacred Heart and Simple HR. Does your company know the changes to The Patient Protection and Affordable Care Act? Hear from Ashley Curtin, Benefits Manager for Simple HR, on how to be prepared for these changes and what these changes mean for your business.